Make a grid 20X20 yards as shown. Mark a line across the middle to separate into two 10X20 boxes. Learn to pass and control, create space and move. Player 1 must try and beat defender 1 and get a pass to Player 2 or player 3. 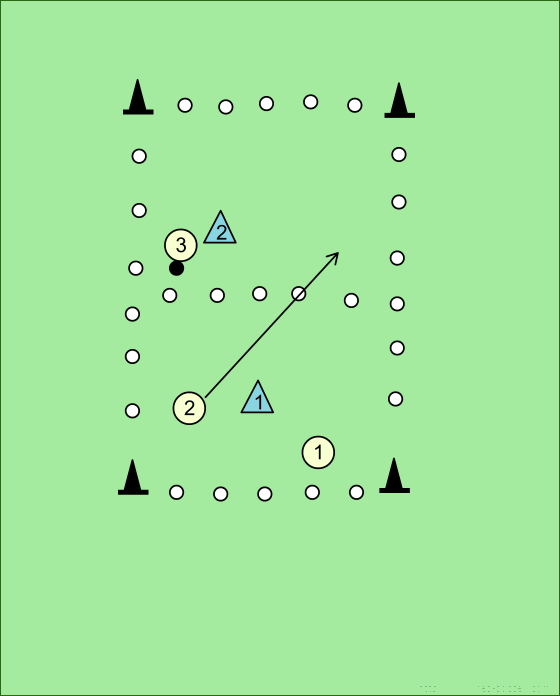 In the meantime player 3 must try and create space away from defender 2 to receive a pass from either player 1 or 2. Having received a pass, player 2 is now looking to get the pass to player 3. Player 3 having received the pass, must shield the ball from defender 2 and wait for support. 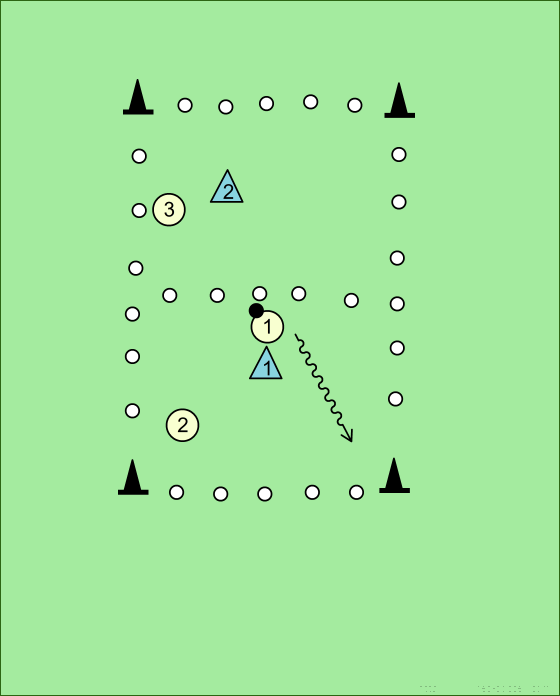 Player 3 is joined in his area by the player that passed the ball to him and the process is repeated, with the intention of getting the ball back to player 1. Having found his team mate, player 2 must try and get to player 1 with a pass. Player 1 now receives the ball, shields and waits for support. Support arrives and the game continues. Set a time for the game to be played, about 15-20 minutes is ok.